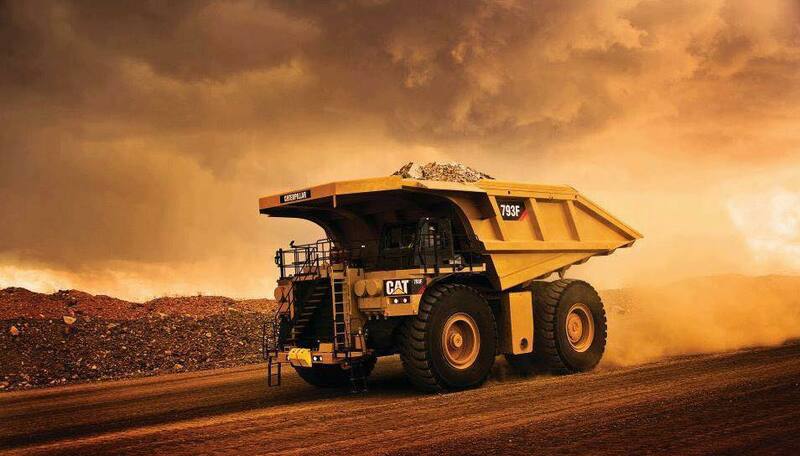 Shares in the world's largest mining and construction equipment maker Caterpillar (NYSE:CAT) jumped Tuesday, touching a five-year high in early trading, as the company posted better than expected earnings for the second quarter and bulldozed its way to another outlook upgrade. Second-quarter revenues were up nearly $1 billion from a year ago, with earnings per share 40 cents higher as well. CAT now expects adjusted earnings per share to come in at $5, significantly higher than the $3.75 it had forecast just three months ago and almost doubled the $2.90 it had originally projected for 2017. In terms of full-year guidance, the Peoria, Illinois-based company now expects adjusted earnings per share to come in at $5, significantly higher than the $3.75 it had forecast just three months ago and almost doubled the $2.90 it had originally projected for the year. Full year sales meanwhile will be between $42bn-$44bn, up from the $38bn-$41bn range it had previously penciled, driven by a continued rebound in mining and construction, the two key industries it serves. "We anticipate making targeted investments in initiatives … including enhanced digital capabilities and accelerating technology updates to our products," CEO Jim Umpleby said in a statement. As a global supplier of mining and construction equipment, Caterpillar is considered a reliable bellwether of economic activity. That is why many were happy to hear the machinery giant is seeing improving demand, especially from the construction sector, in most regions. Sales in North America, Caterpillar’s largest market, were up 7%, mostly due to recovering demand from the mining and energy industries. In the Asia Pacific region, its third-biggest market, increased by 23% boosted by higher demand for construction equipment from China. The machinery maker is going ahead with the planned move of its Peoria headquarters to the Chicago area, though most of the 12,000 manufacturing jobs will stay in Peoria, it said in April. The company’s shares climbed 5% in pre-market trading and were still trading high (+4.7%) to $113.30 at 11:52 am in New York.